As a cherished icon, trusted friend and beloved family favourite…South Africa’s number one sugar brand, Huletts, has been sweetening the lives of consumers for over 120 years. Whether you’re after the perfectly sweetened cup of tea, mouth-watering baked goodie, hearty meal or coffee date with a dear one, no occasion is complete without the sweet touch of Huletts. Renowned for its unique combination of history, strong relationships and exceptional quality, consumers have long recognised the value that Huletts adds to their lives, and have consistently rated it among their most loved brands. Huletts ensures ‘A Little Sweetness Goes a Long Way’ with a complete range of sweetening solutions that appeals to all ages, races, languages and diverse lifestyles.At the core are the trusted favourites: Huletts White Sugar and Huletts Sunsweet Brown Sugar. Loved for its pure, smaller, consistent grain size, fast dissolving and concentrated properties, which ensure minimal waste, Huletts white sugar is a logical choice.Huletts SunSweet Brown is a completely natural brown sugar with a rich aroma. 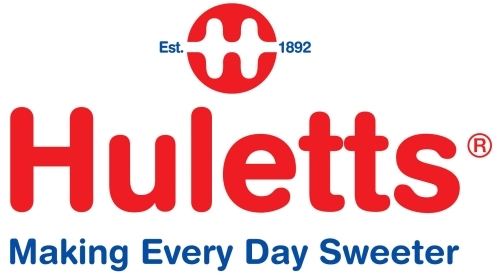 For consumers seeking a more balanced lifestyle, Huletts has a perfect non-nutritive range in Huletts EquiSweet Classic and Huletts EquiSweet Sucralose. These are available in both tablets and sachet formats, ideal for use in hot and cold beverages, desserts, meals and many other applications that requires sweetening. Huletts EquiSweet range of sweeteners offers the great taste of Huletts, very low kilojoules and no bitter after-taste. The availability of white & brown sugar, EquiSweet Classic and EquiSweet Sucralose sachet combo packs add convenience to the catering sector. Huletts white and brown sugars are available in tubes and standard sachets which are firm favourites in the hospitality market, not only because of the quality of the product, but because of their inspiring quotes at the back of each standard sachet. Huletts supports its customers with Initiatives like the Huletts Hospitality Guide, which provides guidance and advice to B&B owners, helping to nurture relationships in the catering sector. Delicious treats are fast, fun and affordable at home with the Huletts range of speciality baking sugars, which includes Castor Sugar, Icing Sugar and flavoured Icing Sugar in Chocolate, Cappuccino and Strawberry. Huletts Speciality Brown Sugars comprises of Yellow Sugar, Caramel and Treacle Sugar. The sweet goodness is taken further with a range of delectable syrups and molasses –Golden Syrup, Maple Syrup, Chocolate Syrup and Molasses. Huletts also offers Fructose. Huletts’ wide range of industrial sugars for the food, beverage and pharmaceutical industries is supported by a research and development team with the experience to advise and tailor-make sweetening solutions for the food manufacturing sector. Customers in the baking and speciality sector get better baking results through quality, consistency and packaging convenience. Brand values of quality, consistency, realness and innovation ensure that every Huletts product enhances the brand, while maintaining quality and delicious taste. Huletts is committed to providing product, packaging and communication solutions that will make any of its products instantly recognisable and relied upon for generations to come. This is why Huletts’ approach to marketing and communication has always been consumer-centric with a holistic strategy, which includes traditional mediums, such as magazines, newspapers, billboards, radio and television, while social media channels like Facebook, Twitter and Instagram provide the opportunity for interactive, real-time engagement with Huletts followers. Tongaat Hulett Sugar (THS) is an authoritative force in the sugar milling technology market with a production capacity of over 1 million tons of sugar annually. In addition, a significant footprint in agri-processing, encompassing operational investments in agriculture, land management and property development means that THS is able to employ over 35 000 people and maintain its position as a Level 3 BBBEE contributor. In partnership with government and various stakeholders, THS practices a company-wide commitment to making a sustainable difference through education, skills development, socio-economic transformation and job creation initiatives in rural communities, particularly those living within the cane catchment areas. Notable projects include the Rally to Read programme, a partnership with the Department of Education, the READ Educational Trust, Bidvest and rural communities to improve literacy for 5000 KwaZulu-Natallearners. In addition, THS offers a number of bursaries and work experience opportunities for rural students. Skills development efforts are further enriched with regular support to local farming communities. A new project Operation Sakhinzuzo which is a second partnership with KZN Economic Development, Tourism and Environmental Affairs will see further 3000 Ha of cane planted in the Tongaat Hulett cane catchment. Over the years, a partnership with Tongaat Hulett and the KZN Department of Agriculture and Rural Development has focused on sustainable rural development, with an emphasis on education and training, food security and capacity building. This partnership enabled the company to cement its relationship with the Owen Sitole College of Agriculture in order to transform the College into a Centre of Excellence in Sugarcane Agriculture. If you have any complaints or queries or recommendations you are welcome to call our Consumer/Customer Care Line on: 0860 784 277 or mail us at: Marketing Department, P.O. Box 1501, Durban 4000. For the perfectly sweetened cup of tea, yummy sweet treat or that comforting first sip of freshly brewed coffee, South Africans know they can trust Huletts to deliver the ultimate taste experience – every time. As an old family favourite, Huletts has been the rainbow nation’s sweetest tradition and has earned consumer trust with its quality, reliability and variety of delicious offerings for over 125years. Huletts is SA’s No. 1 sugar brand, ensuring that ‘A Little Sweetness Goes a Long Way’ across the product spectrum. The brand transcends age, race, socio-economic status, language and culture by offering a total sweeting solution, with each product in its range synonymous with quality, consistency and innovation. Brand values of quality, consistency, sincerity and innovation ensure that every Huletts product enhances the brand, while maintaining the delicious taste consumers expect of a Huletts product. At the core are Huletts white and SunSweet brown sugars. Loved for its pure, smaller, consistent grain size, fast dissolving and concentrated properties, Huletts white sugar is a logical choice in tough economic times. Huletts SunSweet Brown is a completely natural brown sugar with a delectably rich aroma and taste that make it one of SA’s favourites. Molasses and a range of syrups in exciting flavours including Golden Syrup, Maple Syrup and Chocolate Syrup also encourages fast, easy, affordable fun at home. In addition, Huletts offers a range of speciality baking sugars, which includes Castor Sugar, Icing Sugar and flavoured Icing Sugar in Chocolate, Cappuccino and Strawberry while Huletts Speciality Brown Sugars comprise of Yellow Sugar, Caramel and Treacle Sugar. Adding elegance and glamour to any gathering are Huletts Cubes, available in white and brown as well as Huletts Rainbow Sugar Crystals in an array of attractive colours. Complementing the offering is Equisweet, a range of non-nutritive sweeteners specially formulated for consumers who seek a more balanced lifestyle. Available in Classic and Sucralose, EquiSweet offers the great taste of Huletts and no bitter after-taste. The range of sweeteners is available in both tablet and sachet formats and is ideal for use in hot and cold beverages, desserts, meals and many other applications that require sweetening without the added kilojoules. In the catering sector, Huletts offers a total sweetening solution that includes white, brown, EquiSweet Classic and EquiSweet Sucralose sachets. These are available in combo packs for added convenience. While Huletts’ wisdom on the back of its sugar sachets continues to spread brand love, initiatives like Huletts Hospitality Guide, provides guidance and advice to B&B owners, helping cement relationships in the catering sector. Huletts is proud of its consumer-centric approach to marketing and communication, which forms part of an holistic strategy that includes traditional mediums, such as magazines, newspapers, billboards, radio and television, as well as online media. Social media platforms such as Facebook, Twitter and Instagram provide the opportunity for interactive, real-time engagement with Huletts followers. Digital platforms also include a Huletts Recipe App for users to enjoy the convenience of being able to plan meals, know what ingredients to buy, bake and cook using their smart phones, tablets or other devices. In terms of product, packaging and communication, Huletts strives for solutions that will make any of its products instantly recognisable and relied upon for generations to come. As a leader in sugar milling technology, Tongaat Hulett Sugar (THS) boasts a production capacity of 1 million tons of sugar annually. The business encompasses operational investments in agriculture, land management and property development. It has a significant footprint in agri-processing, encompassing operational investments in agriculture, land management and property development, employs over 35 000 people and is a Level 3 BBBEE contributor. Tongaat Hulett Sugar is committed to working with government and stakeholders towards accelerating socio-economic transformation and making a sustainable difference through education, skills development, socio-economic transformation and job creation initiatives in rural communities, particularly those living within the cane catchment areas. Over the years, a partnership with Tongaat Hulett and the KZN Department of Agriculture and Rural Development has focused on sustainable rural development, with an emphasis on education and training, food security and capacity building. This partnership enabled the company to cement its relationship with the Owen Sitole College of Agriculture and to develop it into a Centre of Excellence in Sugarcane Agriculture. Other notable projects include the Rally to Read programme, a partnership with the Department of Education, the READ Educational Trust, Bidvest and rural communities, to improve literacy for 5000 KwaZulu-Natal learners. THS also offers a number of bursaries and work experience opportunities for rural students. Skills development efforts are further enriched with regular support to local farming communities. A new project Operation Sakhinzuzo which is a second partnership with KZN Economic Development, Tourism and Environmental Affairs will see a further 3000ha of cane planted in the Tongaat Hulett cane catchment area.